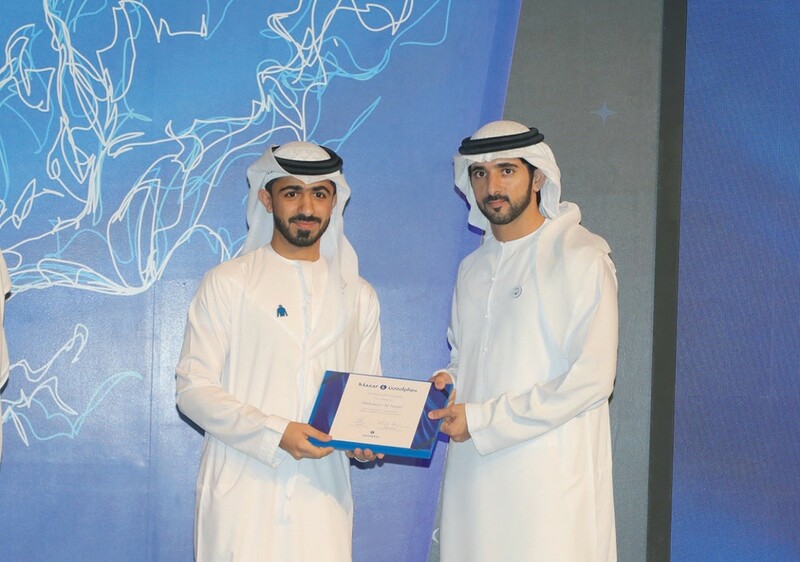 Such is his commitment towards the Masar Godolphin cause that His Highness Sheikh Mohammed bin Rashid Al Maktoum, the Vice-President and Prime Minister of the UAE and Ruler of Dubai, took time off his busy schedule during National Day week to personally congratulate the graduating class of 2018. 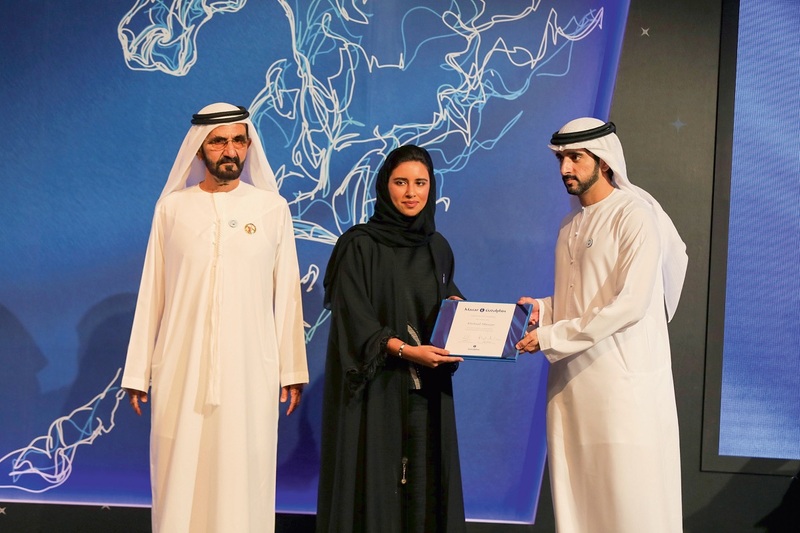 The graduation ceremony was held at Madinat Jumeirah last week and this year’s graduating batch of nine, five women and four men, received their certificates from the hands of the Godolphin patron and His Highness Sheikh Hamdan bin Mohammed Al Maktoum, the Crown Prince of Dubai. Mohammed Mardood, Ali Al Jaffal, Abdulaziz Al Noori, Sultan Al Suboosi, Kholoud Al Hosani, Alia Al Obeidli, Noor Al Falasi, Fatima Al Badi and Lamya Al Ali can now proudly and confidently seek employment within the industry. Masar Godolphin is an academic and experience based training programme that is held under the patronage of Sheikh Mohammed and is delivered in Dubai, Newmarket (England) and at Kildare (Ireland). Comprehensive in nature, Masar Godolphin gives participants an insight into the best breeding a training practices employed within the Thoroughbred industry. The programme provides equine enthusiasts with the opportunity to enhance their understanding of the industry both theoretically and practically. As part of the programme, trainees have the opportunity to visit some of the UK’s leading sporting and professional organisations to enhance their all round skills. This year’s batch had the privilege of course namesake Masar land Godolphin its very first success in the Epsom Derby. Mardood, an aviation engineering graduate who works as an aircraft engineer with Emirates, was thrilled to have witnessed Masar claim a historic first for the Sheikh Mohammed’s royal blue silks. “It was something else. The programme is just brilliant and the opportunities you get are simply brilliant,” Mardood told Al Adiyat. “The highlight of my programme was being able to ride a Thoroughbred and feel the power of the animal. I now want to become a jockey and will do my best to get there and do the UAE proud. After that training might be an option but I really want to pursue riding and try and make a career of it. “Watching Masar win the Epsom Derby was truly inspiring and we have to make the most of this opportunity. “I consider myself lucky to have been accepted into the programme and these are the stories I am going to tell my children someday. I believe in life everything comes with passion and hard work and I think I have both in plenty.” Al Falasi holds a Master’s degree in Science and has spent a few years working with the Emirates Wildlife Society in association with the World Wildlife Fund (WWF). Her unwavering passion for nature and wildlife and her commitment towards conservation and animal welfare, led her to become the first Arab woman to set foot in Antarctica in 2007. 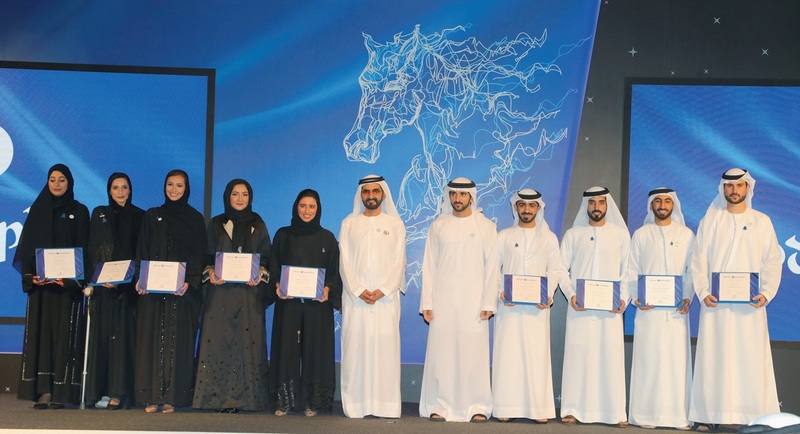 Admitting the programme was a life changing experience, Al Falasi said: “Not only does it teach you about the Thoroughbred industry, but also about personal development and leadership. It combines all three. “I am eager to continue working within the Thoroughbred industry because it has captured my heart to be honest. 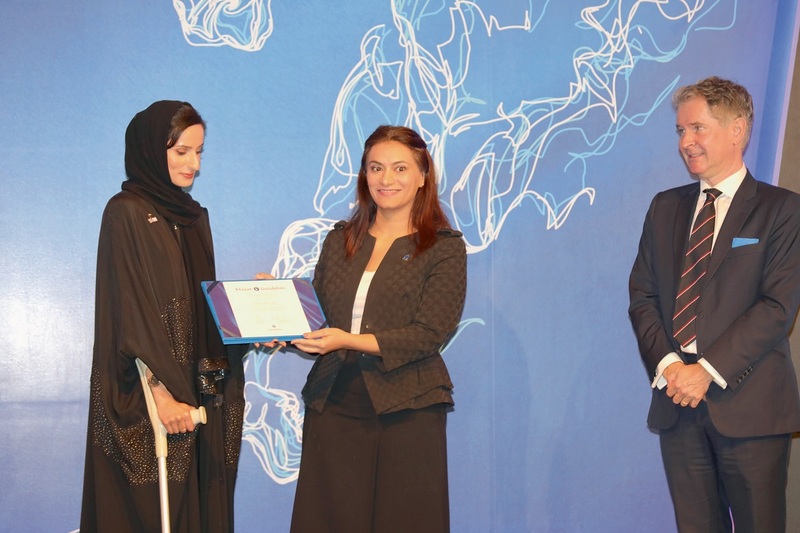 The industry is big and it caters to everyone’s speciality and needs.” Al Hosani, who is pursuing a Master’s degree in Global Governance and Sustainable Development, added: “The programme teaches you so many skills. Personal and managerial, leadership and it teaches you about people and one of the main skills we learned about was communication and enhancing trust between the group and that gives you the motivation and courage.” Speaking at the graduation ceremony, Godolphin CEO Hugh Anderson said: “Masar was created to create leaders and to introduce talented young Emiratis to an industry that we are passionate about, like His Highness Shaikh Mohammad. “Great leaders are not just born, they need to learn from experience. These young students have gained in a large way. At the British Racing School, where they learned about horsemanship, at the British Army at Sandhurst, where they learnt about military leadership, and at the London West End, where they learned about presentation skills. 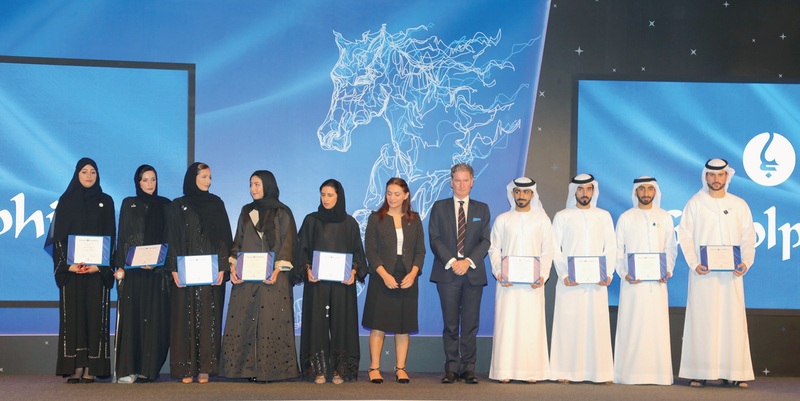 “But mostly they learned from our trainers and people at Godolphin and everyone at Godolphin has learnt something from having these intelligent people spend time with them,” he added. “I thank His Highness Sheikh Mohammad for his vision in creating this programme and everyone at Godolphin, who has worked hard to ensure it is a success.” Ali Al Ali, who heads the Masar Godolphin programme, was utterly impressed with the 2018 batch. 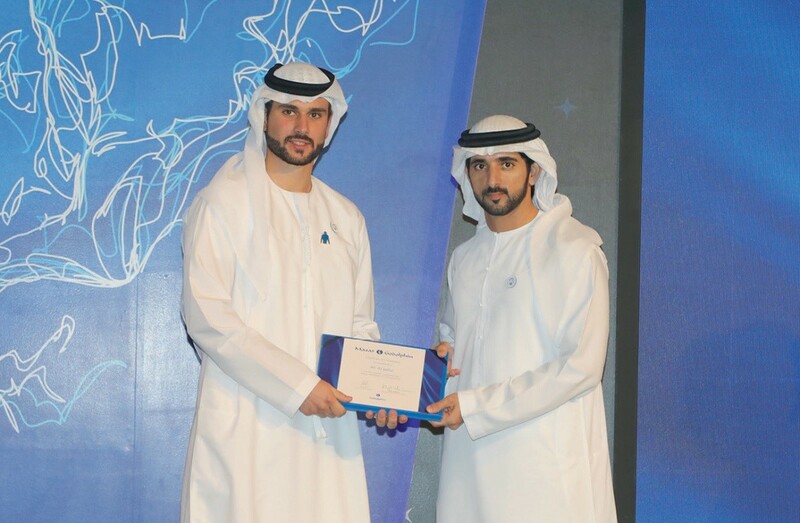 He added: “This batch of Emiratis exhibited extraordinary commitment. “It is a pleasure to work with people who show the utmost passion towards horses and I believe that the future holds a lot for them. I wish them the best of luck.” The 2019 Masar Godolphin programme will run between January and October.